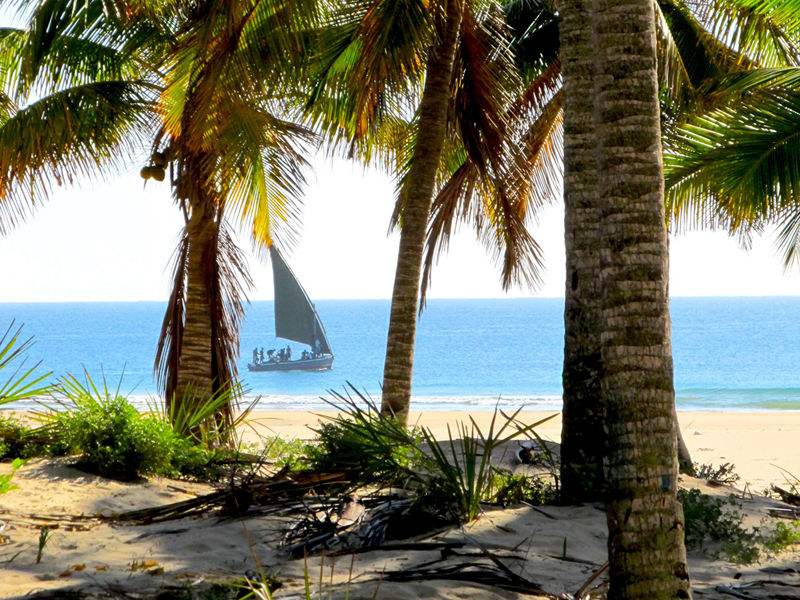 Barra Beach Club is superbly sprawled in a postcard-perfect setting on its own private stretch of beach on the outskirts of Inhambane. Romance prevails at this resort which is an ideal destination for Mozambique honeymoons. Packages to this exquisite waterfront resort will see guests enjoying exhilarating watersports and a myriad of land-based activities such as horse riding and quad biking among other exploits. Barra Beach Club has a wonderful, soporific atmosphere that has left many a guest with only optimistic Tripadvisor reviews. This Inhambane accommodation has 12 elegantly appointed rooms and suites, including 8 deluxe lodge rooms, 3 deluxe ocean villas and 1 sumptuous Presidential honeymoon suite. All rooms are equipped with creature comforts such as air conditioning, tea/coffee making facilities, flatscreen satellite television, free wireless internet, among other things. Ocean Villas offer private gardens, mini bars and alfresco showers while the Presidential Suite is set apart from the rest of the lodge with its own private beach access. “This truly is the best lodge in Barra… I only stayed here for one night, and I will say it was the best night ever! I enjoyed it to the max and will definitely come back…” Sietske R from Amsterdam gushed. “Well maintained property in a stunning location with friendly staff and lip-smacking food – the prawns were a real hit with my son…” Peter R from the United Kingdom writes. “Wow, what a place! This place is very classy and also suitable for international travellers. It is reasonably priced and offers everything you want in a hotel,” writes one guest from Johannesburg. This is what our guests have to say about Barra Beach Club. Candid photos of this resort reveal the reasons behind the positive traveler reviews and detailed feedback from clients on tripadvisor. From the glittering pool, the rooms to the restaurant, everything gels to make the ultimate beach retreat. For honest resort reviews and information on Barra Beach Club, contact the specialists in Mozambique holidays. Let us make your holiday an experience that will stay in your memories forever.